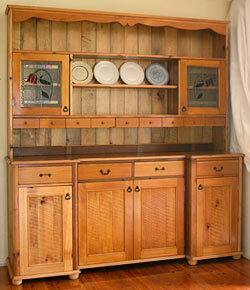 Crafted from 100 year old recycled hoop pine, solid timber including back. Matching hand made lead light doors. Traditional rustic finish, shellac with Joseph's Woodworks blended natural bees wax polish. We can custom make to fit.